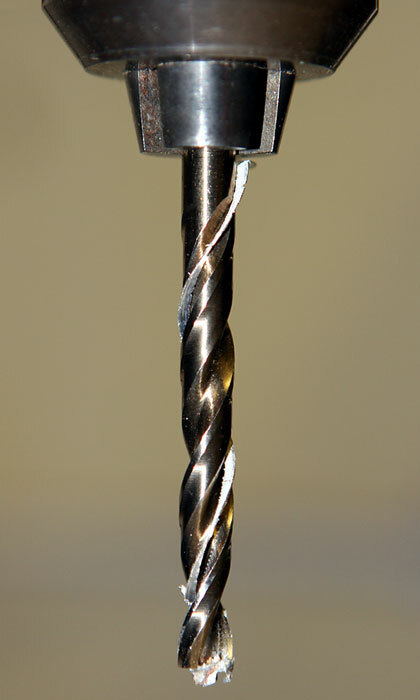 A drill bit is the part of a powered tool that cuts cylindrical holes into various materials. The bit is held in the drill, which provides torque and rotates the bit. The top part of the bit — the part that is grasped by the chuck of the drill — is called the shank. The cutting edges are at the other end of the shank.